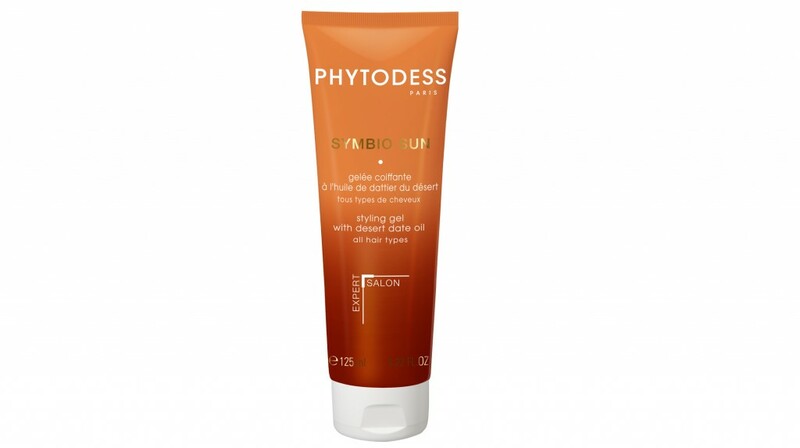 Enhancers and the delightful coconut-lemon fragrance, PHYTODESS SUN SYMBIO hair care calm the hair from the assaults of the life in the outdoors (sun, pool, sea, sports activities). Half-way between a haircare product and a styling formula, this melt-in gelée moisturizes the hair and helps protect it from dryness caused by sun exposure. Ideal after swimming, it sets the hairstyle and tames frizz, leaving a non-sticky wet-look finish.